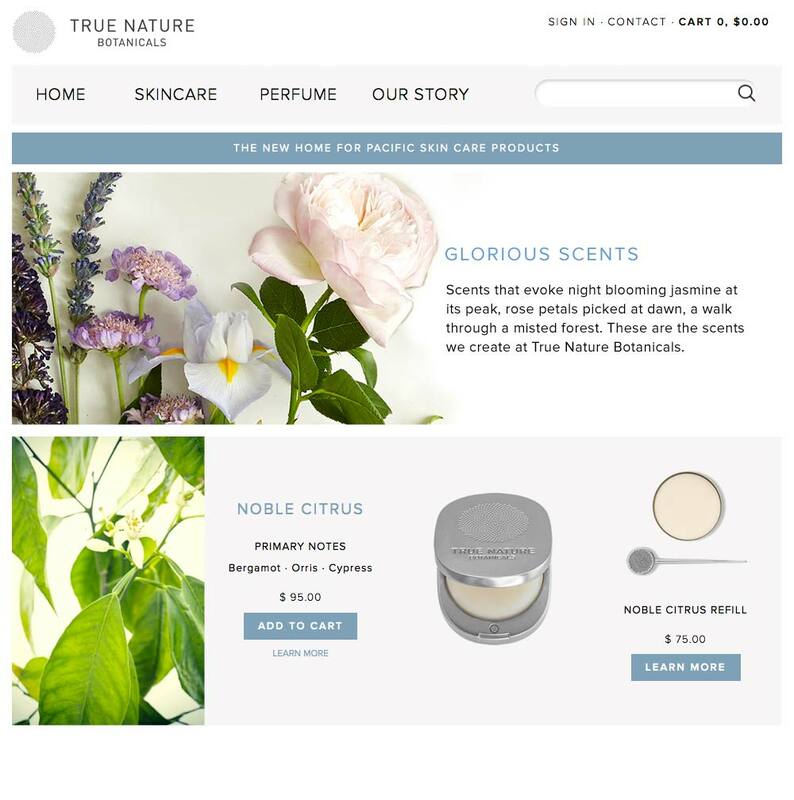 What can an organic personal care company do to stand out in a crowded landscape? Skincare has gotten so complicated these days. Everything claims to be organic. Everyone is touting results. Who do you trust? 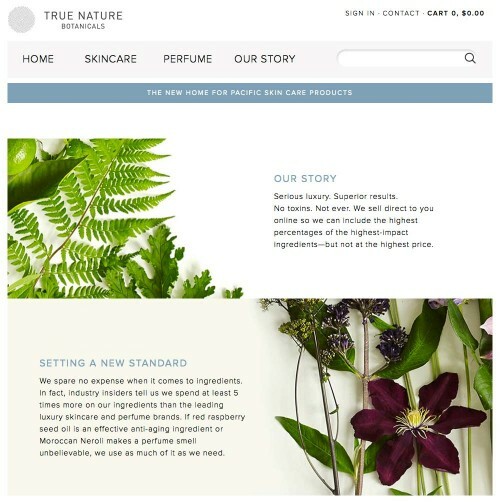 Building a luxury brand requires moving beyond claims to the ingredients that truly make a difference. After helping to launch Marie Veronique Organics and contributing to a more than 10-fold increase in sales volume, the company split in two. 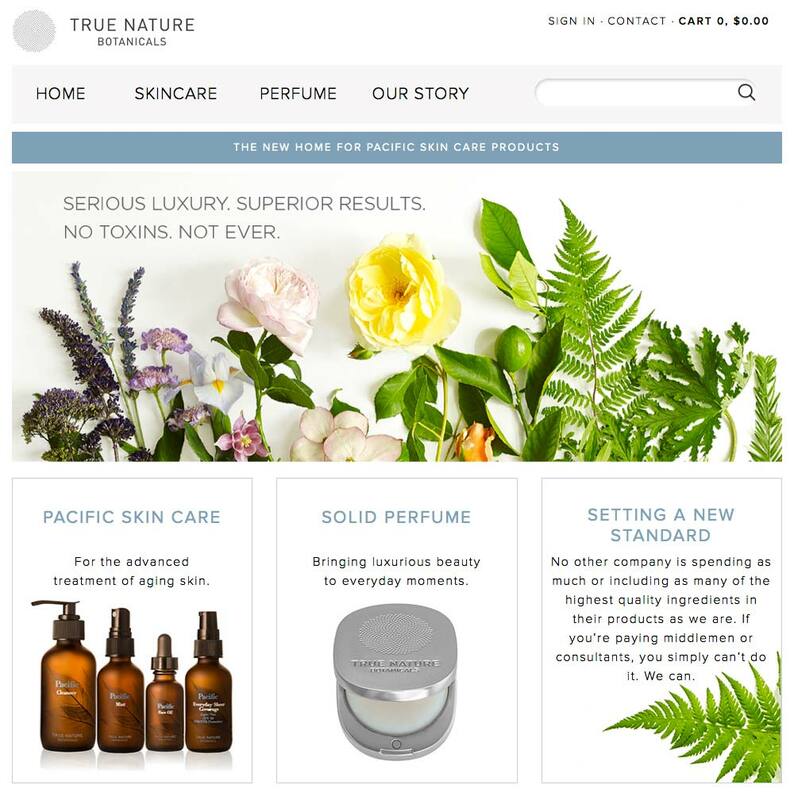 Luckily, we have the pleasure of helping to build another new brand—True Nature Botanicals—to support Pacific Skincare (which we named) and a new line of solid perfumes. From the science of skincare to the art of perfumery, True Nature Botanicals is setting a new standard in the industry. They’re spending 5 times more on their ingredients than the competition, but not charging the highest price, thanks to a direct to consumer business model. True to its name, we communicate with customers honestly and informatively across every customer touch point—from web to email to social. The result: we’re engaging consumers in a grass-roots movement to change the face of the beauty industry.